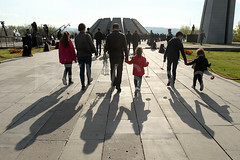 Armenia makes Russia realize that it has something to lose? YEREVAN. – “It became apparent from the words of the President of Armenia that the Armenian side negotiated with Iran and Georgia, but not with Russia, which, according to the Armenian side, would also be an interested party. 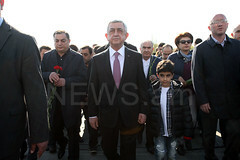 With that rhetoric of his, the President of Armenia, in my view, resolves several problems. “This word of his clearly means that the Armenian side has clear concerns that in case of not being interested in this project, Russia will become a major obstacle before the Persian Gulf-Black Sea corridor. “Second, with this statement, the President of Armenia is also attempting to gauge the moods in Kremlin. Former Georgian Foreign Minister Irakli Menagarishvili told the aforesaid to 168 Zham (Hour) newspaper of Armenia, reflecting on Armenian President Serzh Sargsyan’s address at the recent Munich Security Conference. Armenia-EU agreement to be fully ratified next year?